Chaos, crime and paranoia abound in Baghdad Central. 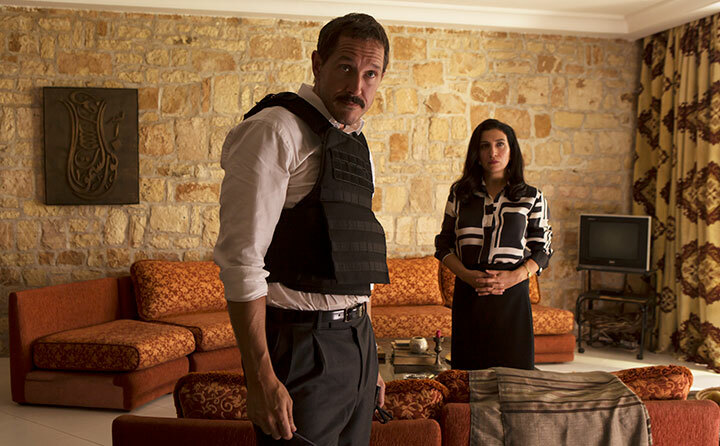 Stars Waleed Zuaiter and Corey Stoll and executive producer Kate Harwood tell DQ more about this crime series, set in the aftermath of the US invasion of Iraq in 2003 and the subsequent occupation. When the project was first brought to its attention, Channel 4 was really keen. Perhaps too keen. 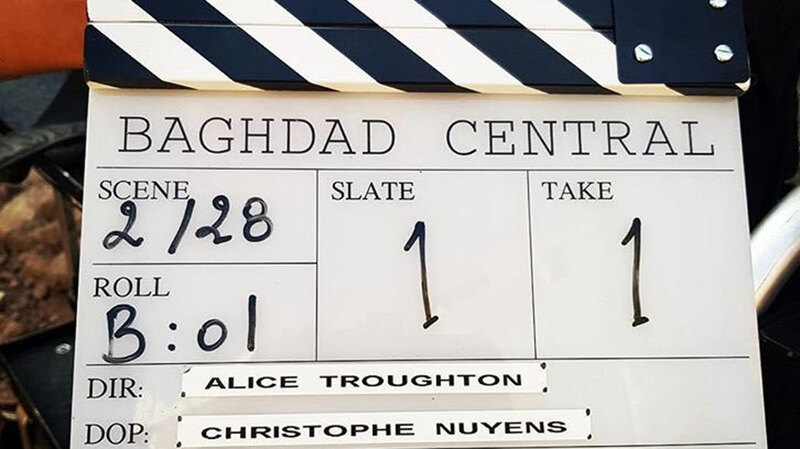 So once Baghdad Central was handed a six-part commission in July 2017, the hard work really began for writer Stephen Butchard and executive producer Kate Harwood. More than 12 months after the commission was announced, filming took place on location in the Moroccan cities of Ouarzazate, Mohammedia and Salé between September and December last year. 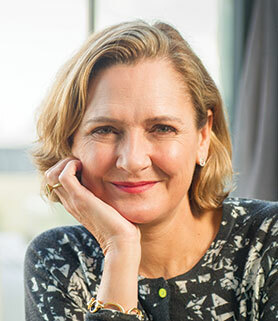 Support on the ground came from production partner K Films, which helped to put the cast together early on alongside casting director Kate Rhodes James. “She used that time [before filming] to really get an encyclopaedic knowledge of who was out there,” Harwood continues. “She was extraordinary. She was working towards very particular characterisation. It took a long time. Waleed Zuaiter (Altered Carbon), Bertie Carvel (Doctor Foster), Clara Khoury (Homeland), Leem Lubany (Omar), Neil Maskell (Humans) and Corey Stoll (House of Cards) lead the international line-up of actors in the series, which is based on the book by Elliott Colla. Set in October 2003, six months after American forces began their occupation of Baghdad, the disbandment of the Iraqi army, the police and civil leadership in the aftermath of the invasion means there is no one in charge and no effective rule of law. Amid this chaotic environment, Iraqi ex-policeman Muhsin al-Khafaji (Zuaiter) has lost everything and is battling daily to keep himself and his sick daughter Mrouj (July Namir) safe. 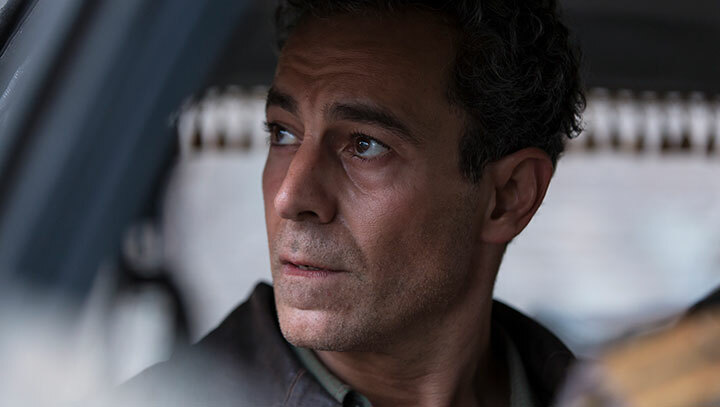 But when he learns his estranged elder daughter Sawsan (Lubany) is missing, Khafaji must begin a desperate search to find her. He soon finds himself up against her enigmatic university tutor, Professor Zubeida Rashid (Khoury) and discovers Sawsan and her two close friends have been leading a hidden life that has put them in great danger. Khafaji is then recruited by Frank Temple (Carvel), a former British police officer on a mission to rebuild the Iraqi police force, to give his operation credibility. But unknown to Temple and his US adversary, American military police captain John Parodi (Stoll), Khafaji has his own reasons to collaborate with the occupying forces. Meanwhile, a new threat represented by security op Douglas Evans (Maskell) provides a terrifying and sinister counterforce to his efforts. Behind the camera, lead director Troughton (Doctor Who) was very much an actor’s director, Stoll and Zuaiter say, praising her preparation, the numerous opportunities to rehearse on set and her willingness to collaborate with the cast on how scenes should be played. Distributed globally by Fremantle, Baghdad Central will have its world premiere in France when it plays in competition at the Series Mania festival next week. Stoll says the drama presents a world he’s never seen on film before, while the specificities of the characters and the families in the story will resonate with audiences the world over. “I’ve never really seen a portrait of what Iraqi life was like under occupation, or even really Iraqi life, period,” he says. “This is a middle-class Iraqi family that seems in some ways very exotic but is having the same conversations a family in Ohio is having. So that specificity draws you in to the uniqueness of it. It’s the story of a family. That really is the core – this man and his children – and that’s obviously completely universal.